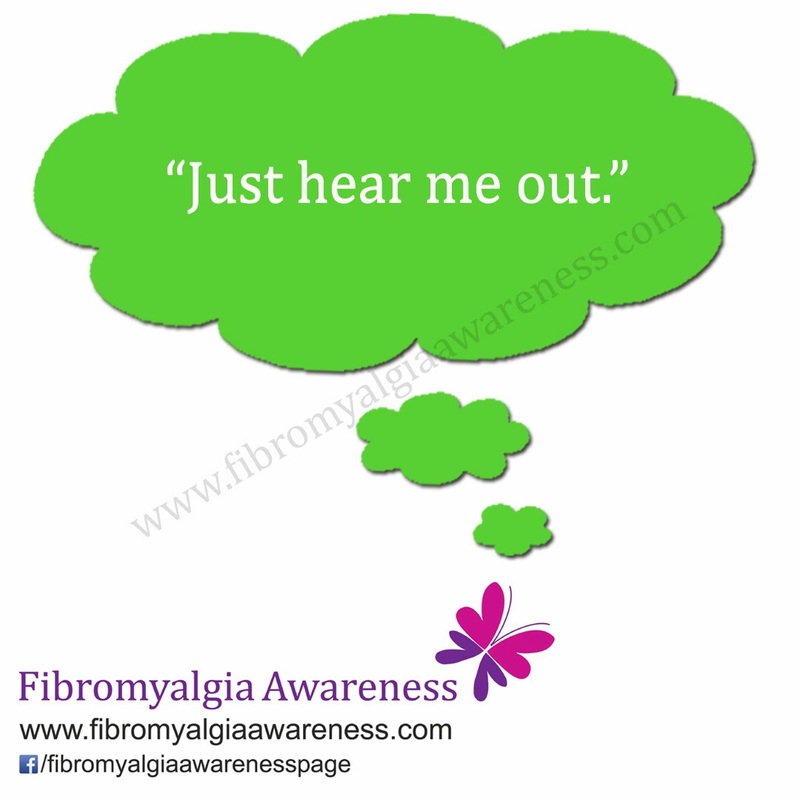 Yes, this is a FIBROMYALGIA MESSAGE BOARD, a wall where fibromyalgia patients from across the world share what they want to tell you. Please take a moment to hear them out in the Comments section below. They would just want you to understand them. Thank you dear for voicing it out. We are all in this together. Take care. This pain does behave weird. Some days it is lesser and manageable other days it can drive us crazy. Just hang in there and take care. Rest when you can but don't stay in the same sitting / standing / lying down position at a stretch. Yes firomyalgia is a hidden illness. No one sees it. So they think were crazy. But with the burning and numbness in hands and feet. Tendionitist in legs abd arms. Gland in neck hurting so bad you cant touch them. Your hips feel like your dragging 200 lbs of concret. Pressure so bad your eyes feel like there going to fall out...lol all this sound strange. But oh sooooo true. Were not crazy were just hurting...lord give someone the knowledge to develope a cure. I'm in pain. I struggle with it every day. It's not that "I'm not trying" or "I've given up". I try harder than most people because every simple task, everything you take for granted as so easy to do is much, much harder for me. I can do much of what you can, but it takes me longer and hurts me more. There may be days I want to give up, but I don't. Don't judge what you don't understand. You don't understand how hard it is to be positive, but I do it the best I can anyway. How hard I find it to keep up with a normal life, but I do my best. I always do my best, don't assume otherwise. Please have some understanding and patience.